← Introducing Florida’s New “Marlins Park” ….. Finally! Opening Day 2012! Woo Hoo! Woo Hoo! 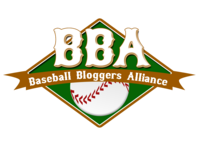 Today’s opening day for Major League Baseball and I couldn’t think of a better way to celebrate than by re-posting this great blog by Bill Miller, “The On Deck Circle”. Couldn’t have said it better myself Bill! Take a look at one of our previous blogs that shows George Carlin expressing this same sentiment. I have to face the fact that football seems to have brazenly overtaken baseball as the de facto national pastime. Even in its off-season, football news and gossip (usually the same thing), often intrudes itself into our lives with depressing regularity. The bi-weekly drug arrests, revolving quarterback soap operas, and mind-numbing stories about which draft picks will break camp hold about as much interest for me as my aunt’s wilted cole slaw on Easter Sunday. Still, I won’t go down without a fight. So, for the record, here are ten reasons why baseball is better than football. 1) Baseball is not constantly interrupted by little men throwing their dainty little yellow flags all over the field every time they have a conniption fit because they saw something that offended their hair-trigger sensibilities. 2) Baseball players do not wear helmets that make them look like anonymous Terminators bent on the destruction of the universe. They look like actual, you know, people. 3) When a baseball player hits a home run, peer pressure causes him (generally) to put his head down while circling the bases, cross home plate, and quietly receive the accolades of his teammates. When a football player scores a touchdown, he (generally) responds with an epileptic seizure in the end zone. It’s not something I enjoy watching, and it makes me wonder why they don’t regulate their medication more effectively. 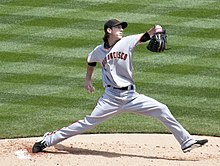 4) Baseball fans embrace their sports history and mythology in a way that football fans are incapable of understanding. Baseball’s lineage is practically Biblical. To the average football fan, football history goes back to last weekend. 5) A father playing catch with his son is an emotional bonding experience, passed down through the generations, an unspoken acknowledgement of love, mortality and hope. A father throwing a football at his son is just a guy suffering from low self-esteem who needs to occasionally pretend that he is an N.F.L. quarterback so he can justify the ongoing emasculation he suffers every Monday morning at work. 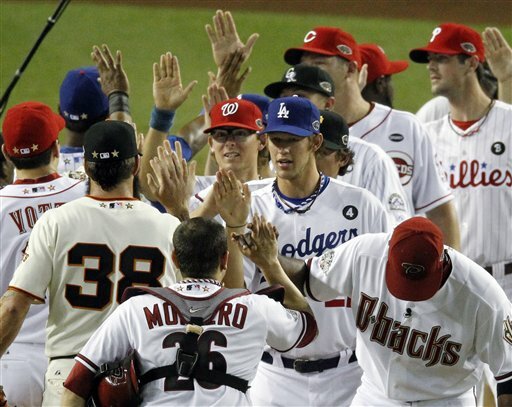 6) Baseball has induced tremendous social change in America. Jackie Robinson is one of the most famous Americans who ever lived. His personal bravery and talent greatly improved our civil society by challenging us to re-examine our personal values regarding fairness, race, and what it means to be an American. Football teaches us that there is nothing bigger in life than immediate success and personal gratification. Winners are loved, losers are vilified, and none of it means anything three days later. 7) Baseball gave us Tommy John surgery so that young men with injured arms could rejuvenate their careers. Football has given us Post-Concussion Syndrome in numbers so large that it is now becoming a virtual epidemic. 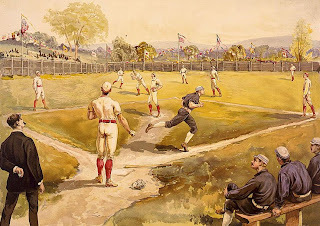 8) A baseball diamond is a pastoral throwback to a time when most of America lived on or near farms and in the countryside, and understood man’s proper relationship to his world. The football grid-iron, by contrast, resembles the endless modern suburban sprawl that disconnects us from our natural environment as well as from ourselves. 9) Baseball has “Take Me Out to the Ball Game,” a fun, carnival-like song that kids and grownups alike can relate to. Football has “Are You Ready for Some Football?” an unimaginative, annoying pseudo-country song written by a man who has forever been trying to simultaneously emerge from and cloak himself with the shadow of his much more talented father. 10) Every baseball at bat boils down to one man facing another, and may the best man win. It is Achilles vs. Hector, Burr vs. Hamilton, Doc Holliday vs. Johnny Ringo. An N.F.L. quarterback, by contrast, has no correspondingly singular opponent. The protagonist has no antagonist. He wields his sword dubiously against the faceless masses before him, a Roman Legionnaire lost amidst the swirl of the barbarian horde. And that’s why baseball is better than football. This entry was posted in A1 Baseball, General and tagged BASEBALL, Baseball field, baseball vs football, George Carlin, Major League Baseball, opening day, Post-Concussion Syndrome, Sports, United States. Bookmark the permalink.